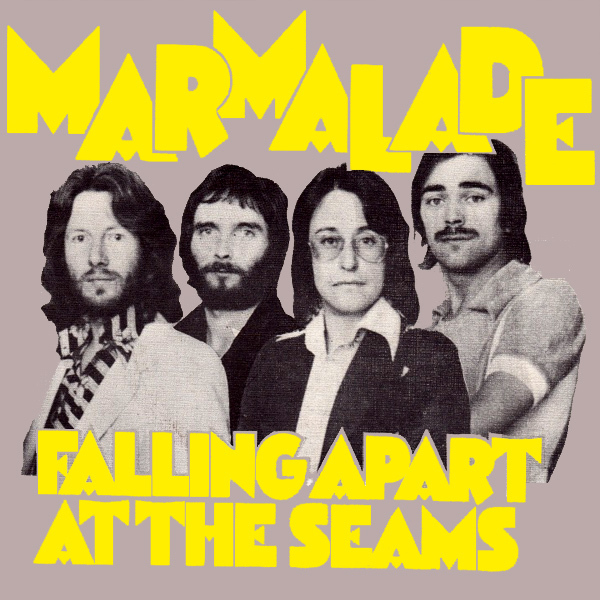 Poor Marmalade, it seems they are Falling Apart At The Seams. At least that is what their single is titled, but on the original front cover artwork the clothes the band are wearing do not seem to be damaged in any way. On the remix we find a babe whose clothes have already nearly been torn in two. Whoever did the stitching on the seams of her outfit seems to have done a bad job of it, depending on your outlook. She is seemingly happy about her situation though. Sewing!